I’ve watched the surf documentary yesterday as part of the Australian Film Festival (last day today … you wanna be quick)… And it was awesome. The doco is Jack McCoy’s baby (he filmed the nightsurfing stuff with us too) . To be honest I expected just another surf movie which I usually quite dig but they are all a bit same, same. This one was different. Absolutely loved it. It was beautifully told with amazing surf footage and great insight in surfing history. Yes, history, not boring history, but the beautiful story of surfing. Loved, loved, loved amazing underwater shots. Never seen anything like it. McCoy has an underwater jetski and films surfers from under the barrels. Raw wave power. Stunning pictures. Loved, loved, loved that there was a whole chapter about girl surfing. The new generation of chickies are truly ripping. But also it did not come short of recognizing the influence of woman in surfing. In fact, if it was not for Princess Kaiulani, no one might be surfing now. You go girls! Loved and was fascinated by true watermen (and women). Terry Chung who is gliding in unison with the water. Or Derek Hynd who surfs massive waves on finless boards. I got absolutely mesmerized by how these guys are in unison with the waves. Loved, loved, loved how the documentary covered long boarding, big wave surfing, tube riding, aerials, you name it….anything that goes with surfing is shown. Loved and will never get enough of seeing the waves of the great surfspots of this planet. No surf documentary is complete without revisiting Pipeline, Teahuppo (my fav of all), Shipsterns, J-Bay, etc. What I loved most was how it showed the beauty and the power of the ocean and how as a surfer, the ocean allows us to be part of it. I felt truly blessed and honored being a surfer. Aloha. A very inspired gidget. 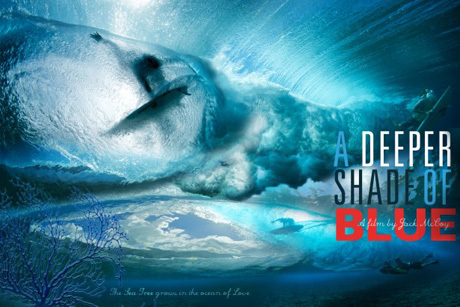 Thanks for your post “Surf movie review: A Deeper Shade of Blue” it was a good read. I’m a real movie buff!